Five decades into his career, Vito Acconci still provokes audiences to re-examine art and the ways people interact with it. From his days as an experimental poet in the ’60s through forays into bodyworks, performances and films that spanned the following two decades, Vito created a vast body of work that was often presented in controversial ways. As a pioneer of performance art, Vito’s prolific output includes over 200 performances that pushed the boundaries between artist and viewer, public and private, and the psychological relationships imposed by each. His daring ideas on what art is and where it can take place made him a conceptual art legend by the end of the ’70s, and an influence to many leading contemporary artists such as Matthew Barney and Paul McCarthy. In the 1980s, the work he was creating within an art context stopped, and architecture and design took over. His new choice of expression allowed him to create works for an active user, which, like his work in the art context, challenged the boundaries of public versus private space. Some of these works, like his 9-11 World Trade Center proposal, which featured a pre-exploded building filled with gaping holes, shocked the public. 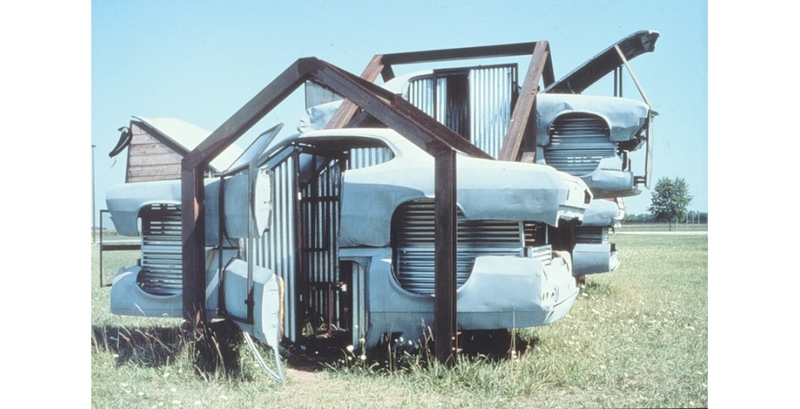 Others, like “House of Cars” and “Bad Dream House” (a series of three upside down houses stacked to form a pyramid), displayed a shift towards whimsical design. 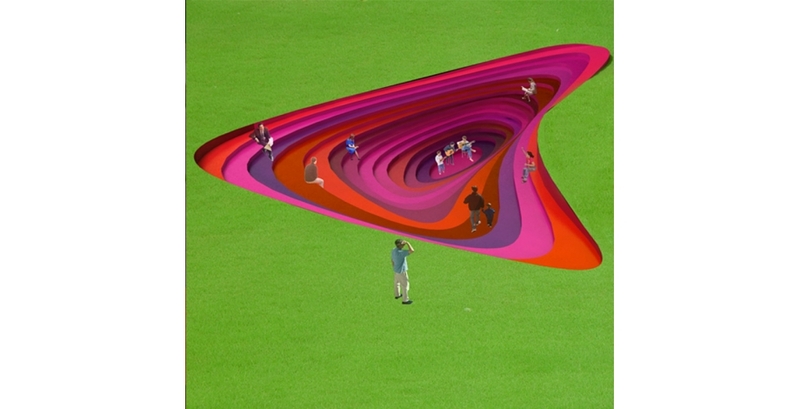 Over the last 25 years there have been dozens of groundbreaking works, including commissions for MIT, collaborations with Steven Holl and proposal after proposal that’s every bit as radical as one would hope. 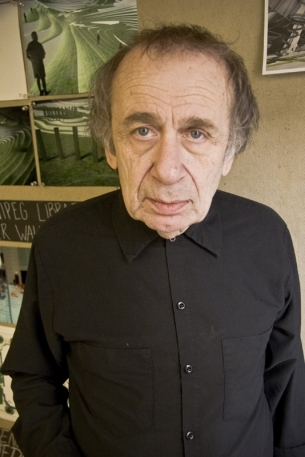 MARC SANTO: With a name like Vito Acconci, you must have been brought up Italian Catholic. Italians, especially those working in the arts, draw significantly from their cultural experience. Has this shaped your work? 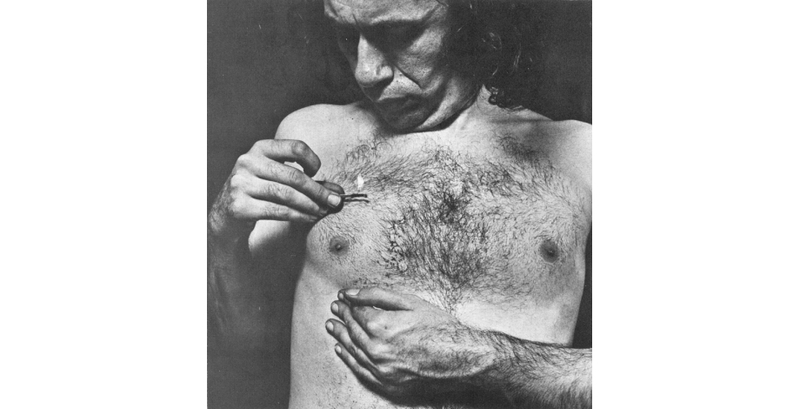 VITO ACCONCI: I tried to resist my Italian roots, because Italian-ness was so overpraised in my family. I wanted to be an American kid. I went to Holy Cross, which is a very bad Jesuit College, but I’d gone to Regis, which is a very good Jesuit High School. Jesuits are strict, but they don’t exactly believe in the Pope, so they’ve always been the rebel Catholics. They’re rigorous thinkers, but they’re freer thinkers. I know a number of Jesuits who said they really weren’t sure whether they believed or not, but what they believed in was Pascal’s Wager: If the Catholics were right, then they had a lot to lose, so they better live as though the Catholics were right. But in the end, they usually ended up drinking themselves to death. MARC: Frank Lloyd Wright advised Bruce Goff to avoid architecture school because it would curb his individuality. You never studied architecture formally. Has this helped or hindered your work? VITO: Sometimes when you come from outside a discipline you pay attention to things that insiders take for granted. I admit that sometimes I feel hesitant in the midst of other architects. I can’t help thinking that they know more than I do, but I also feel that maybe I can go in directions they learned you’re not supposed to go in. MARC: When I look at your work I see a lot of science fiction references. Do movies influence your work? VITO: For me the most important movie ever made was Alain Resnais’ “Last Year at Marienbad.” I saw it when I was 21 years old and it foretold everything I ended up doing. The first scene with the camera going through the lobby of a spa made me think right away that architecture is as much about time as it is space. I think designers of my generation are probably overly influenced by “Blade Runner.” It showed an alternative future to Stanley Kurbrick’s “2001,” which was never that important to me. Kubrick’s future is abstract and white, but Scott shrugs his shoulders and says “Well come on, we can’t really tear everything down and build from the beginning, so why don’t we believe in parasites? Why don’t we live off existing buildings?” I like the idea of arms and extensions. 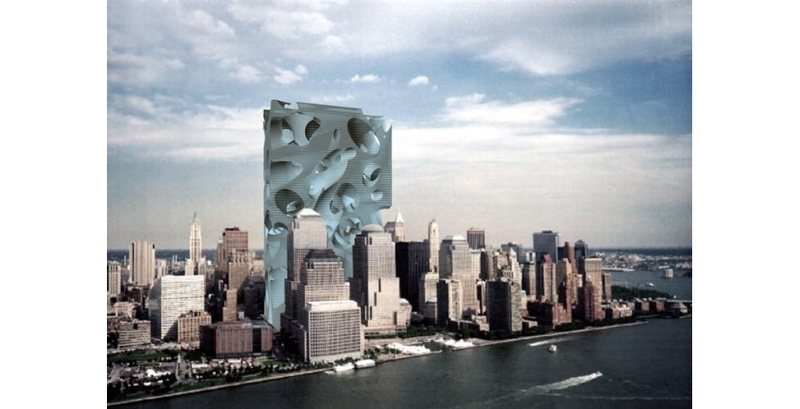 I wish buildings could have tentacles to other buildings, or that we could build cities that moved. Architecture is just too stable. 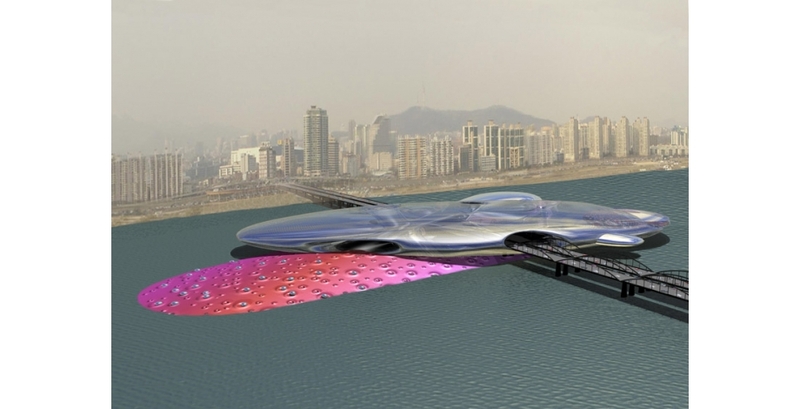 I think the architecture of the future is going to be a mobile architecture. MARC: Archigram designed Walking City, which was a mobile living pod. VITO: Yes, they designed work that wasn’t stable, but it wasn’t built either. Archigram was so important to me because their stuff was part of the everyday world. They forced me to question my motives for working in an art context. You have to make a decision to be an art viewer, and that always bothered me, but with architecture, there’s never a time in your everyday life that you’re not in the middle of it. MARC: Archigram interpreted Le Corbusier’s idea that homes should be machines for living—almost literally—when they developed Walking City. Did the philosophies of Modernism influence you? VITO: Modernism was a big thing for me, coming from a father who was very interested in art, music and culture—and almost always Italian art, music and culture. One good thing about Italians is that culture is part of everyday life. But Modernism is a movement of the past. The idea of a Modernist building as a sculpture set on a pedestal of grass is a part of Modernism that I’m not so crazy about. MARC: What about the sustainable sensibilities attributed to modern design? VITO: Sustainability has become a religion—not that there’s anything wrong with it—but I think it has to work both ways. Everyone thinks architecture has to be subservient to sustainability, but what if we thought in the other direction, like, what can sustainability do to make architecture more exciting? MARC: Earlier, we talked about architecture as being outside of the art context, and how the sculptural aspect of Modernism may return some of those limits to the medium. You also talk about sustainability imposing a set of limits. 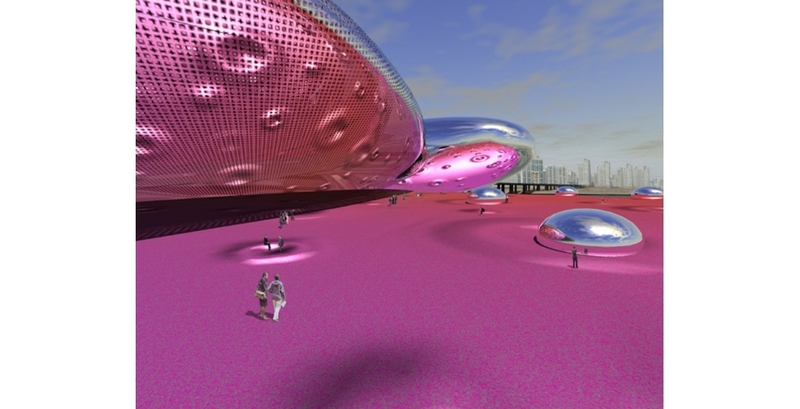 If we imagine architecture without these limitations, what can it do? VITO: Architecture is inherently a totalitarian activity. One thing we hate about it is that when you design a space, you’re probably designing people’s behavior in that space. I don’t know if we know how to change that, but our goal is to make spaces for people rather than people being subservient to spaces. I wish we could make buildings that could constantly explode and come back in different ways. The idea of a changing environment suggests that if your environment changes all the time, then maybe your ideas will change all the time. I think architecture should have loose ends. This might be another problem with Modernism—it’s too complete within itself. When something is so complete within itself, I always think, “Why do I even have to go inside it?” I would love to do architecture that people can have a free hand in the making of it. We’ve done spaces where things are hinged and they can go out or in, but that’s not freedom. That’s supermarket freedom, or the notion that you can have anything you want as long as the supermarket carries it. We would love to do a space where you go inside and there’s nothing there. You might have a seat and when you don’t need it anymore you get up and it disappears. MARC: Marcel Breuer was working on replacing chairs with rising columns of air so there wouldn’t be any physical objects to interrupt the flow of his spaces. VITO: We don’t know how to do that yet, but that’s something we’re thinking about. We would love a space that’s made up of pixels, particles, grains, fibers and air. Can architecture be just as much about sound and smell as it is about tangible things? I think that’s why music influences us so much. MARC: How does music fit into the equation? VITO: What connects architecture and music is that neither one is really an object. It’s more like an ambience, a surrounding and a context. You can do other things while you’re listening to music and of course, you can do other things while you’re in the middle of architecture. The notion of multi-attention seems to me like it’s the keynote to the beginning of the 21st century. MARC: Speaking of the 21st century, tell us about your 9-11 proposal. VITO: The premise was that nowadays, if a building is going to be exploded anyways, then maybe we should make one that comes already pre-exploded. MARC: What was the reaction to that? VITO: People thought it was sacrilegious and that it was against the people who died there. I hoped it wasn’t. The important thing for us, which people didn’t even notice, was that there were holes in the building so the rest of the city could come inside. There could be parks and street vendors inside the building. A building can be built a few stories higher if you have a public space out front, so we thought, “Why don’t we mix public and private? Why isn’t public space a vein system that goes through a private space?” Public space can be a lot better with some private space to contradict it and vice versa. It keeps the system alive. If the system is just one thing, then it’s closed and it eventually dies. MARC: When you look at the New York skyline do you see a blank canvas or a work in progress? VITO: I don’t know if I can say the skyline needs this or that, but spaces are filled up and I think there’s space in between spaces where you don’t have to begin at the beginning. There’s room to latch on to buildings and take advantage of the resources they have. I don’t think it’s so important to complete buildings themselves anymore, but tentacles or interludes that connect buildings to each other can be interesting. Maybe what’s missing is something that sprawls or winds around something else. Buildings seem to keep their own place and don’t melt into another. Maybe the architecture here has too much individuality. MARC: Is there any part of the city’s design that you particularly like? VITO: I like intersections. They’re the nature of this city, and there’s always the possibility that when you’re at one you can meet someone new. Have I ever met anyone new at an intersection? No, but I like the idea of it. I like cities because if you’re stopping on the corner to wait for a light to change, there’s the possibility that you and somebody else can talk. And if you and that somebody else start to talk, then you can start to argue, and if you start to argue, you might start a revolution. College campuses were like that before 1968, but afterward they were built without cross-places because they didn’t want 1968 to ever happen again.